Series 601 hoses are constructed of 1/4” I.D. teflon® lined stainless steel braid, rated for 3000 psig. The 601 hoses are fitted with 1/4” NPT brass end connections; they make excellent economical manifold pigtails. 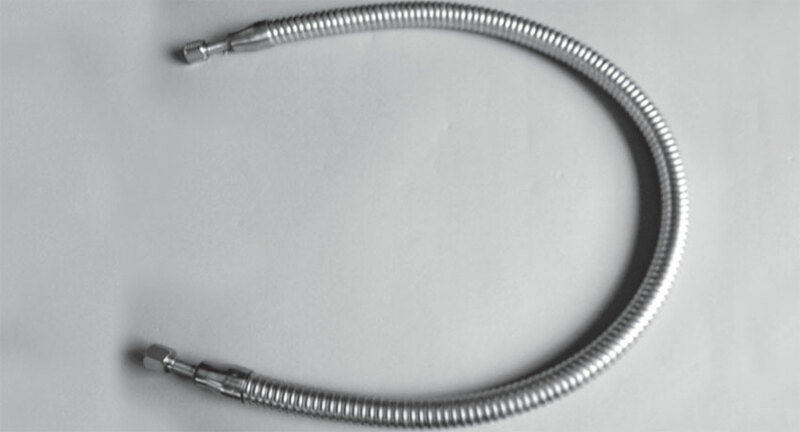 The Series 604 hoses are constructed of double braided stainless steel, fitted with stainless steel 1/4” NPT end connections, rated for 3000 psig, and cleaned for oxygen service. 1/4" NPT female or male stainless steel end connections. We can provide any of the hoses on this page in different lengths and with a wide variety of end fittings.